1What Is a Crystal Grid? Many people like to use crystals for healing and wellness of both the physical and spiritual kind. 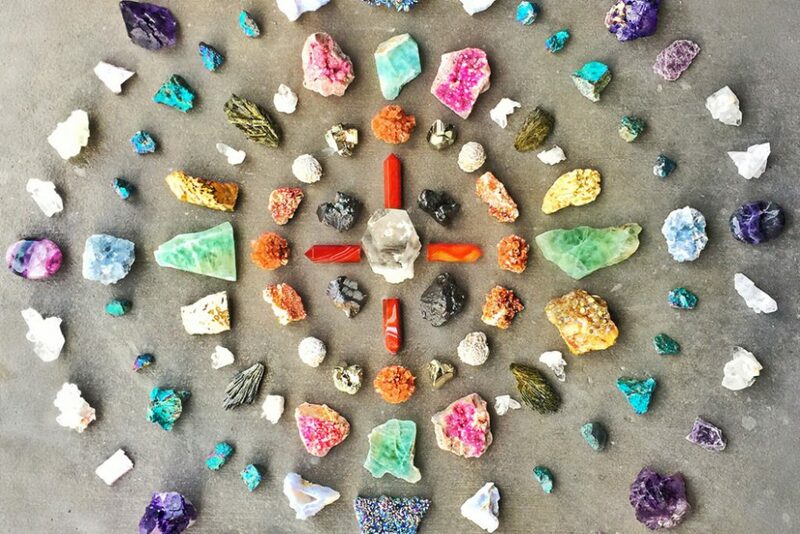 Whether you’re working with crystals for a specific purpose, such as health or love, or for a general well-being ritual, you may find that placing your crystals in a grid-style layout can amplify their metaphysical power. 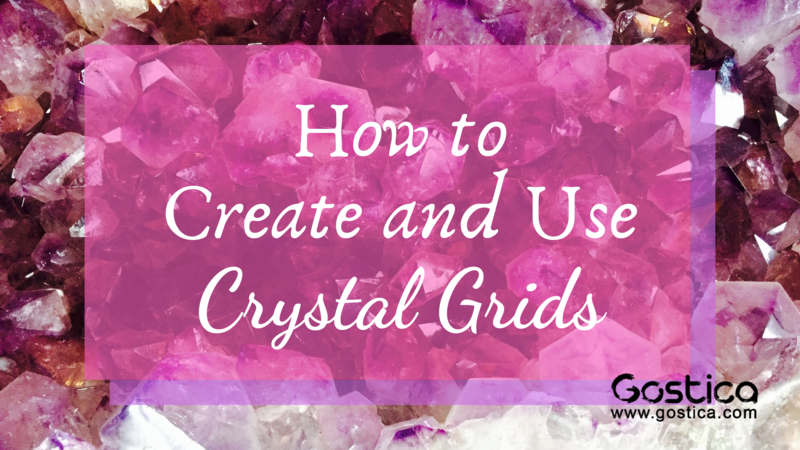 Let’s take a look at what a crystal grid is, how to create one, and how to use it. In some forms of metaphysical practice, crystals are laid out in a grid, following patterns of sacred geometry, to give their power and energy a boost. 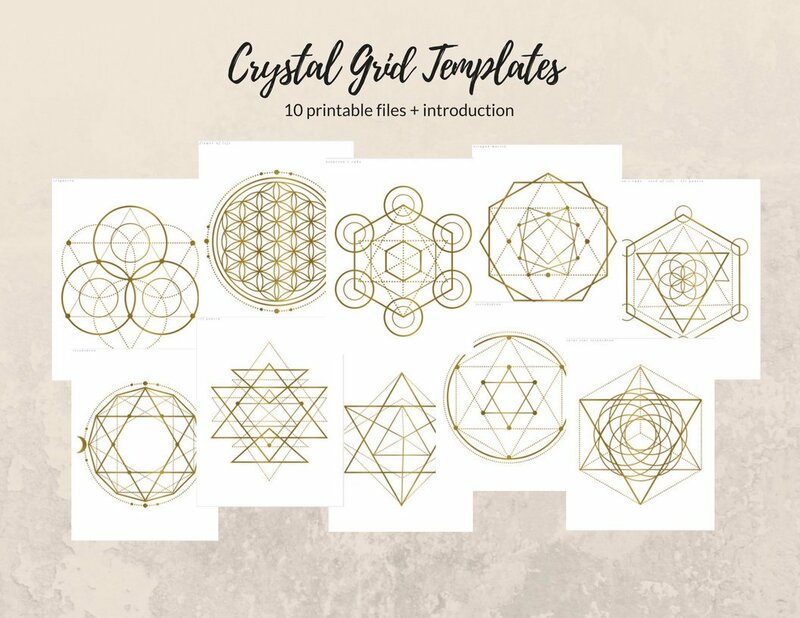 While you can certainly buy a crystal grid kit, complete with a cloth or board that has a pre-printed design on it and a whole bunch of crystals of varying properties, it’s fairly easy to make and design your own. The principle is a simple one: crystals are chosen based on the purpose of the working, and then laid out in a geometric pattern. Once they are spread out, they are programmed or charged with energy to bring about healing or other desired outcomes. Crystal grids can be created to amplify the power of the crystals, to protect or cleanse spaces, or to direct healing towards someone else. The center stone is typically larger than the rest, with smaller stones in a geometric pattern around the center stone. You can create squares, rectangles, circles, rhomboids, triangles, and similar shapes, depending on the number of stones you are using. Although grids don’t necessarily have to be geometric, this is a good place to start. It is believed that by placing your crystals in a distinct and intentional pattern, you can manifest results more quickly and efficiently than you would if you used a single crystal in a working or ritual. So you’ve decided to give crystal grids a try. Great! Here are a few general guidelines to keep in mind – and remember, these are guidelines, not rules, so if something else seems to make more sense to you, give it a shot! First, select which crystals you’re going to use. Plan on using at least four, and remember that more is perfectly acceptable. You can either use multiple crystals of the same type, or you can use a combination of different kinds, depending on what your goal is. Ideally, you’ll want to choose a larger crystal for the center, and smaller ones for the outer part of the grid. You can use crystal points if you like, but it’s not required. Once you’ve chosen your crystals, gather them all together and charge and cleanse them. There are a number of ways you can do this. Consider cleansing them by leaving them out in the sun, or under a full moon, for a while. Crystals that are non-porous, such as amethyst or hematite, can be cleansed in water blending with sea salt. You can also smudge your crystals, using the smoke from burning sage or sweetgrass. After you’ve cleansed your crystals, charge them by holding them in your hands, closing your eyes, and focusing all of your intention upon them. For instance, if you’re doing a crystal working for healing, visualize healing energy filling each of your crystals. For healing rituals, use a combination of rose quartz, tourmaline, jasper, agate, and amethyst crystals. You can also use stones that represent the seven chakrasfor a general overall wellness working. If you’d like to do a general working for personal empowerment, try a mix of carnelian, sunstone, and clear quartz. For a grid designed to banish someone or something negative from your life, incorporate onyx, jade, obsidian, and hematite into your design. Be sure to figure out your intention before you start placing your crystals into a grid pattern. Be sure to cleanse and purify the space in which you’ll be working. If creating a crystal grid is a sacred and spiritual act, you should be doing it in a place that is sacred and spiritual. You can cleanse your workspace by smudging, asperging, smudging, or sprinkling sea salt around the perimeter. Choose a basic geometric pattern, a spiral, a pentacle, or circles – whatever speaks to you the most! There are hundreds of examples of sacred geometry out there, so check out some of the many designs available. You can even use a mandala as a template. You can draw or paint your grid design on paper, cloth, or even wood, but you don’t necessarily have to have the lines in front of you. In fact, many people simply lay their crystals out in a pattern without using pre-drawn lines. Do what feels most natural to you. Begin by placing your largest crystal in the center of the grid, then place smaller stones around it, working your way outward. Keep in mind that in some metaphysical schools of thought, the design is created from the outside working in. Regardless of which method you choose, try to be consistent and place your crystals at even intervals. It’s a good idea to use an even number of crystals on each side of the grid so that you can maintain the symmetry of the design. In some magical traditions, people write their goal or intention on a piece of paper, then place the paper in the center of the grid, beneath the largest stone. You don’t have to do this, but you may find that it helps you establish a more targeted focus for your crystal grid. Once you’ve laid out your crystal grid, take a moment to admire your work. Close your eyes, breathe deeply, and focus on your intention once more. Open your eyes, and slowly use one finger on your dominant hand to trace a line from one stone to the next, making sure you touch all of them without breaking the line. This will connect the stones to one another, to the grid, and to you metaphysically. If you’ve laid your stones out in a wheel or square pattern, be sure to move your finger from the outer stones to the center one, creating a spoke-like energy pattern. This essentially “activates” your crystal grid and the power contained within the stones you’ve chosen to use. Leave your grid in place, with the crystals on it, for as long as you feel is necessary. Every three days, go back and retrace your lines, and re-focus your intent upon your magical crystal grid. Crystal grids are used in many metaphysical disciplines to bring about healing, spiritual well-being, and transformation. You can use any kind of crystal you like in your grid, but be sure that its properties correspond to your intent and purpose. By using sacred geometry, you can enhance and boost the power and energy of the crystals with which you work. This was written by Patti Wigington for ThoughtCo.